It’s a re-occurring issue every week, several times a week. Someone walks into our store with a gun they just got and want to put a light on it. That’s the easy part, the hard part is finding a holster for it. 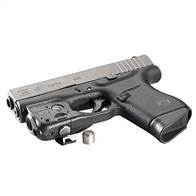 If you are looking for something other than the Streamlight Flashlights or Surefire Flashlights your holster options are going to dwindle. The Streamlight TLR-1 is brighter than ever but if you have a preference in activating the toggle, the Surefire X300U is another option but it will cost you more. There are plenty of other flashlights you can use, Olight Flashlights, Inforce Flashlights, but you will not find many holster options. If you are looking for a laser light combination, it’s Streamlight TLR-2 or Surefire X400U and it’s the same old story. Some nylon companies have options but not that many. Blackhawk made a major market mistake years ago by only catering to Ziphos flashlights which nobody used, and finally got around to making holsters that took the Streamlight Flashlights and Surefire Flashlights. Check out Safariland Holsters, holster fit guide before you buy a gun, because they really are the place to go to find out what your options are. 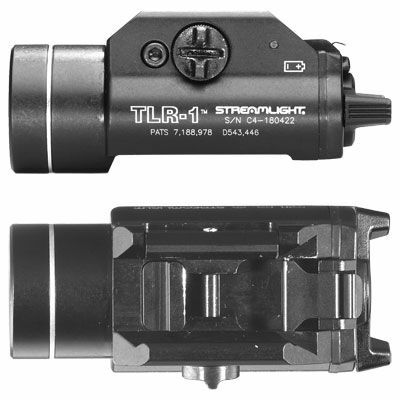 Some Streamlight flashlights are probable never going to go away and one of them is the Streamlight TLR-1 series. There are a few variations of this light they might fade out because the standard model has become so versatile and improved output, that it can be used on either a rifle, handgun or shotgun. I recently tested out the Streamlight TLR-1S (which has the strobe) and tested it in total darkness on a camping trip on my LWRCI Rifle. The beam on this was excellent out to 100yds I was shocked at how at 300 Lumen output it had better throw than my Streamlight Protac HL USB that had an 850 Lumen output. 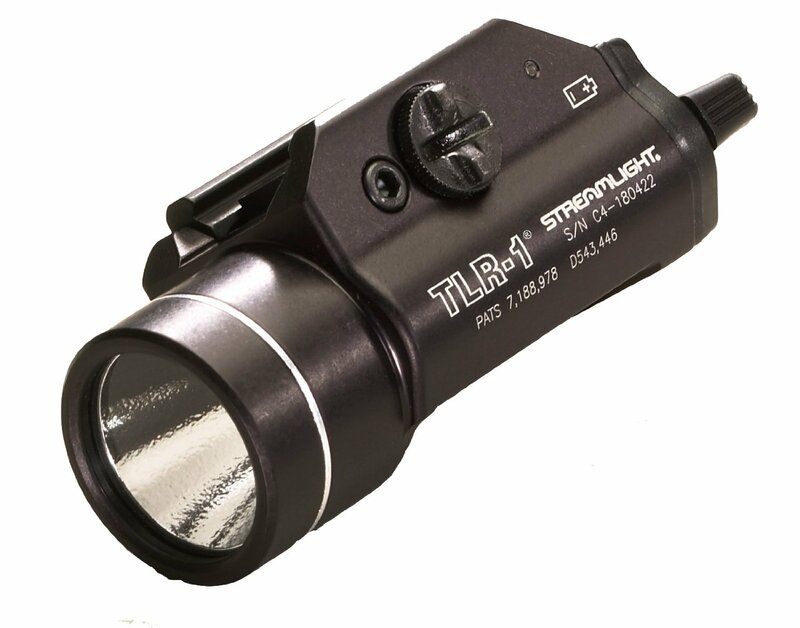 There seems to be the most competition between the Streamlight TLR-1S and the Surefire X300, I find them to be different in price, and the feel of the toggles are different. One has a 300 Lumen output for a little over $100 and the other has a 500 Lumen output for under $200. Nothing wrong with Surefire, but you are paying for the name. I do highly suggest the strobe feature for handgun and rifle flashlights because it does come in useful in some defensive situations, it’s also another tool you can use to avoid having to pull the trigger on someone. The first tactical flashlight I actually owned was a Surefire G2 Xenon bulb flashlight. I was very impressed with how bring it was, considering, the previous tactical flashlight I had was a D battery USGI flashlight with different lenses. High output was pretty cool, but those Xenon bulbs did not last very long and I did not like the idea of a flashlight that needed bulb replacements as much as battery replacements. Eventually the LED conversions came out and I upgraded to that and then I was really impressed at how much a the technology had improved. I have always been a fan of varying output flashlights. I still go back and forth about whether or not it’s good to have a rechargeable or battery light, but even that has changed and there are a growing number of flashlights that have both options. The G2x is basically the new version and has a slightly different body, but with a 320 Lumen output with a 15 Lumen low. Once most people start using these lights, they quickly realize they don’t need all that output in most circumstances and 15 Lumens is enough to get you around in the dark the majority of the time. Surefire Flashlights have an excellent reputation of being sturdy even though there are less expensive flashlights out there. We still the vast majority of Law Enforcement are sticking with Surefire and Streamlight due to their warranties and durability. I don’t know where the ceiling is with flashlight brightness, maybe when it has enough to call it a lightsaber. There has been much debate from Law Enforcement about what is optimum for doing entries and how much is too much. The majority that I have spoken to believe that around 200 Lumens is optimum for indoors while outdoors it’s a completely different mindset. The most important thing you need to know about when considering a flashlight like this is, you are far more likely to be able to identify a threat with a Streamlight TLR-1 Flashlight or the new compact model Streamlight TLR-6 laser light combo. Flashlights have gotten cheaper to make, with longer run times and double or triple the Lumens compared to 10years ago. 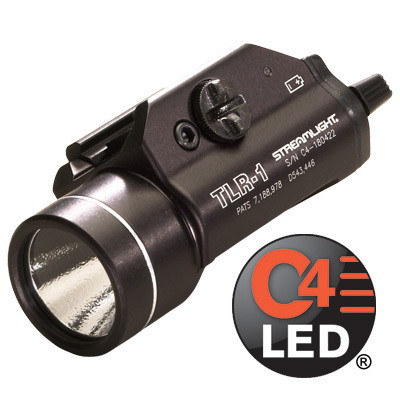 Streamlight TLR Flashlights are a “staple” in this industry are they on just about every Handgun or Carbine. 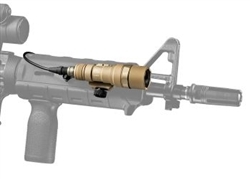 They have become extremely popular as a Carbine “white light” due to there being an industry move away from pressure switches and people realizing that the lever activation switch is far more reliable. The New Streamlight TLR-1 HL has an output of 800 Lumens which is quite incredible. Everyone should have a light on a Carbine but there is such a thing as too much output. I really don’t know what the whole story was with this holster but it was a long time coming. We knew it was in the works over 4yrs ago and has only been out for less than 2yrs. At first glimpse this is a huge holster, definitely not a CCW holster but an excellent LEVEL 3 holster. If you don’t need LEVEL 3 then don’t buy it, but if you want a secure holster that holds a Surefire X300U then all the sales data we have on these gives us a reason to stock them. Blackhawk seems to be slow at making holsters for Sig Sauer which we’ve gotten a lot of requests for and are only making them for large frame Glocks like the Glock 17, Glock 22 and Glock 31 and the Glock 20, Glock 21 and Glock 37 firearms as well as the Smith & Wesson M&P 9mm,40 and 45. It’s always an issue for us to match a customers needs with a holster and find out who makes it, so it’s real simple, if you have a large frame Glock or a Smith & Wesson M&P then the Blackhawk Epoch Level 3 holster is an excellent light bearing level 3 holster. 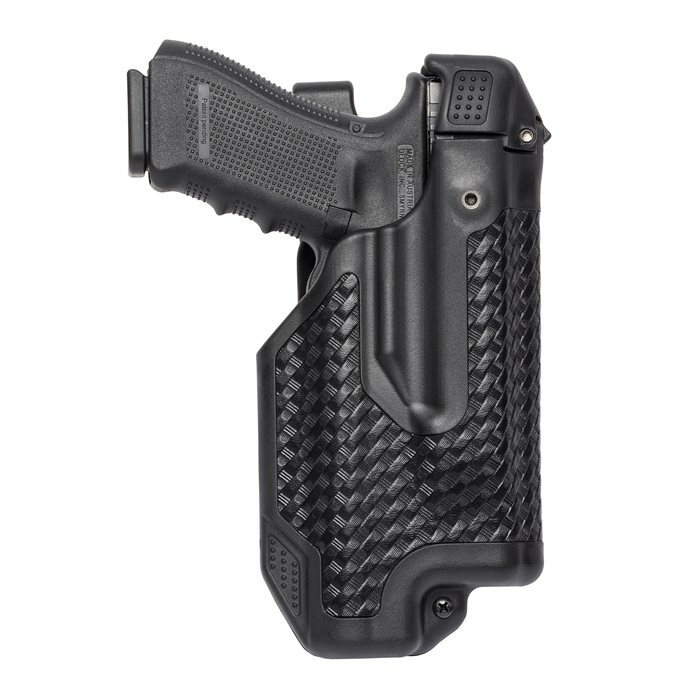 Blackhawk has a very diverse holster product line for other Duty firearms but isn’t that friendly toward customers looking for gun holsters with tactical lights unless you have a Xiphos weapon light, and to date, we’ve never had a customer tell us they do. 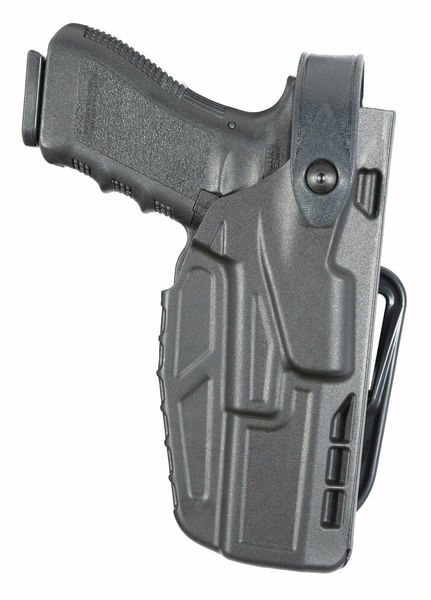 Great holster for Glock and M&P but come on Blackhawk, make more gun options. New USB Rechargeable Flashlights, is this the future? Yep! 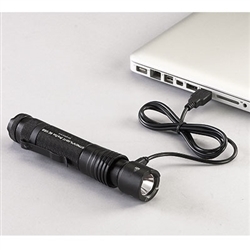 We’ve been hearing about this for awhile, USB rechargeable flashlights. I believe it was an INOVA flashlight that I first handled that was USB rechargeable. This is simple going to be the way of the future for all rechargeable flashlights because it’s simple and convenient. If you walk into your work place, trying to find an unused electrical outlet that you can leave your flashlight to be charged and walk away for 4hrs isn’t going to be easy. 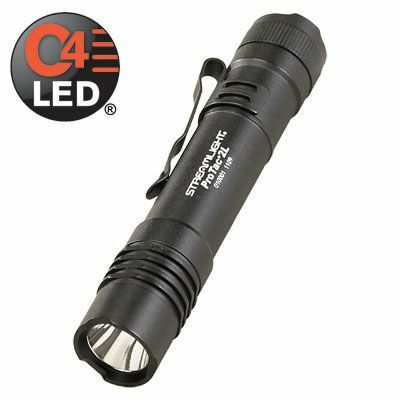 Now you can just sit in front of your computer and plug one of these new Streamlight USB Rechargeable Flashlights in and go about your business. The one thing I am warning people about is being careful plugging these in. USB ports tend to not be as rugged as wall jacks and in this industry, people tend to be rough on things and I think that may be one weakness people are going to find out about. This Protac HL flashlight is the biggest brother in the Protac Series, you can use 2 CR123 batteries instead of a rechargeable battery stick so that’s good if you need a plan B and your Protac HL USB Flashlight goes dead on you. People are going nuts over all of these High Lumen lights, but please pay attention to the run time, the 850 Lumens is impressive but it only has a run time of 1.5Hrs. I had an experience a few weeks ago where I had to use Protac 2L on High, extensively, the entire night and after a 5hr Security detail it was practically dead. It made me wish I had more run time. I’m impressed by this new Streamlight Flashlight, but always have a backup flashlight, backup batteries or use your light on low power as much as possible. It’s not fun when your flashlight doesn’t run. In this discussion it’s really all going to be about your budget and what fits in your hand and how you are going to be able to carry it. Flashlights are so bright these days and sometimes strobe can be a major annoyance so if you don’t think you need it, don’t buy it. I have found for atleast the last 4 years that the Protac Series of flashlights from Streamlight are the best sellers for anyone that wants an everyday carry light, the price, the size, and the output. Now they are 260 Lumens on high and 13 Lumens at low. Low power on flashlights is usually used more than high power and is great on saving energy. I remember when I first started using the Streamlight Scorpions, I was impressed with the 130 Lumens it put out but i remember that it burned through batteries so much that it was time to look for something different. There is a Protac 1L that takes 1 CR123 battery but I find that too easy to lose and the Streamlight Protac 2L flashlights are better for my hand and has a letter performance. I have been highly recommending these for years and recently had several Special Ops guys come in and tell me they are using them for defensive purposes. High lumens and strobing are tactics you can deploy that can work well for in buying you time to bolt, or deploy another defensive measure, pepper spray, fist, baton ect. We always try to keep them in stock, online and in our Showroom and most of our employees are carrying them so feel free to ask about them. There have been many improvements across the board with various flashlight companies. Ever since LED technology advanced, you are getting flashlights with the same SKU, UPC Code, and price that you got it for 4yrs ago but a much better light. I think there is a ceiling for many of these advancements. there is absolutely such a thing as too much light. The real thing to consider is if you are using a firearm indoors, or might be using it for outdoors. Recently I was attending a low light shoot. I watched the majority of people use flashlights in the 110-200 lumen range and at 50yds, it was good at lighting up a target. I took my LWRC M6A1 with me and tested out my Streamlight TLR-1 which is 300 lumens and even though it didn’t have the beam I would like to have, it really did an excellent job of lighting up a wide field in front of me so I could see just about everything I wanted it. For indoors over 200 lumens can be an annoyance and somewhat of an inhibitor because you will get so much reflection off of shiny objects that it can actually ruin your vision in low light. You want the light to light up what you are pointing at, and not a whole bunch coming back at you. One thing I’ve known for a long time is have just enough light to see an object is better than lighting up everything, you have to give you eyes time to adapt to the lighting changes and given the majority of most people’s needs, 200 Lumens is a good. 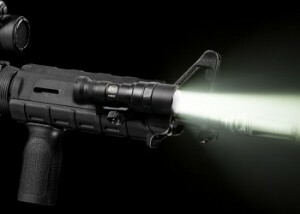 There are several Surefire Flashlights that are considered hand held lights but they actually make excellent weapon mounted lights, one of the main reason I say this is they have hi and low power settings, I don’t know why Surefire and Streamlight haven’t incorporated this into the X300U and TLR-1 lights but I think once you get to that 300-500 Lumen range, you might be better off with having the ability to drop down in power the majority of the time, and only use full power when needed, probable outdoors. They are all coming out now and it’s something we often warn people about. The benefit of being an authorized dealer for many of the products we sell is that we get the NEW stuff. There is a lot of technology in the products we sell, from Body Armor to flashlights and even footwear. Things can change like the weather and I’m not talking about the gimmicks and fads with all of the AR15 accessories. We see things come and go, but when I look at how much output some of these new flashlights are putting out, the value of something like the Surefire Scout M300 Flashlights that are now putting out 300 lumens, you are getting a light almost 3x’s what it was 3yrs ago and an excellent mount in the $300 price range. 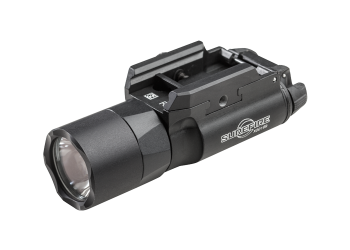 Always call or email us about Surefire product pricing because they have a very strip MAP (minimum advertising price) for online sales and we are aggressively marketing Surefire Weapon Mounted lights since they are increasing in value due to technological improvements. We here people say all the time that they buy a lot of this stuff at better prices on Ebay or Amazon, but you really have to check the technical specs of what you are buying because it may be outdated products or old inventory and we are seeing it all over. 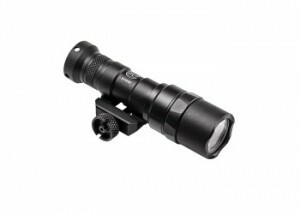 We have some good closeout prices on the Surefire M300 200 Lumen light without the Tape Switch for a discounted price. There definitely has been a trend away from using pressure switches and if you didn’t know, Surefire uses the term “tape switch” which is the same thing. I’ve played around enough with the various Scout lights from the M300 Flashlights to the M600 Flashlights to know that I prefer not to use any tape switch because that brings in a whole issue with the way I presently have my primary M4 Carbine setup. You have to mount pressure switches properly or they will pop off, tear off, or be exposed to bending and twisting that will inevitable cause a break in the communication between the pressure pad and the light. Everyone has different hand sizes and the way you prefer to activate any device on your firearm is your call, but it looks like Surefire Inc. has noticed the trend and removed the “tape switch” from some of their weapon mounted light packages. One of the problems many run into when putting lights on a firearm is the mounting system, the Streamlight TLR1 and the Surefire X300 are easy picks, but if you don’t like those platforms and prefer a light with a push button activation, the Surefire M300 Mini Scout is our next best selling light due to it’s size and the mounting system. We recently found out that some of the Surefire Flashlights like this have gone through another output advancement and will eventually be a 300 Lumen light. 2yrs ago this light was 110 Lumens, then 200 Lumens and 2015 production will be 300 Lumens, all this out a single CR123 battery. Run time is always something to consider, but if you are looking for something with a proven track record and has gone through several upgrades will will have these available online and in our Pennsylvania Showroom shortly to check out.